Does your building feel too moist or humid? Are you trying to manage excess moisture by cranking up your AC? Paying high energy bills is not the best way to remove the moisture from your indoor air. There are more productive ways to control indoor moisture in Tampa Florida and Clean Air Mold Removal has been improving indoor air quality for over 27 years. If you suspect a moisture problem, call (813) 359-0179 for a free, comprehensive evaluation. 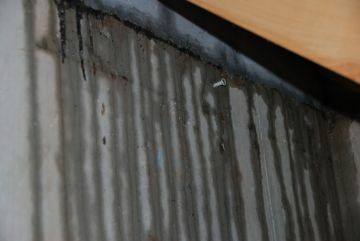 Mold and mildew thrive in humid environments. If you are looking for a contractor in Tampa to remove mold from your home or building, you'll want a professional, such as Clean Air Mold Removal's mold elimination experts who always take the time to determine the exact source of moisture. Our Tampa moisture control specialists will first find the source, and then provide recommendations for safe and comprehensive removal. The result is total removal of mold spores and other toxins from your indoor air. Call (813) 359-0179 to find out more. Clean Air Mold Removal's specialists don't guess where your mold problem is coming from. Since 1992, our skilled technicians have used the best moisture detection equipment on the market to pinpoint your moisture source(s) and devise the best solution for eliminating moisture from your Tampa house or commercial building. Hygrometers, protimeter, thermal imaging and borescopes are all deployed by our Tampa moisture detection pros. We utilize infrared thermography and cameras to find water problems without having undergo the costly process of opening up walls. Once it is determined that you've got a moisture problem, and the source is located, the next step is removal of the mold spores and mildew and prevention for further moisture issues. Clean Air Mold Removal will start the process of structural drying, utilizing best practices. We can remediate any water invasion, such as water leaks, broken pipes, and appliance leaks. Your home and it's contents will be dried quickly to decrease the likelihood of mold spore growth. Once the moisture is removed from your Tampa crawlspace, attic or other location, the experienced team from Clean Air Mold Removal will make recommendations for long term moisture control. These services include crawlspace encapsulation, dehumidifier use, drainage system installation, ventilation system installation and more. If you've got a moisture problem in Tampa, Clean Air Mold Removal has a sound solution!